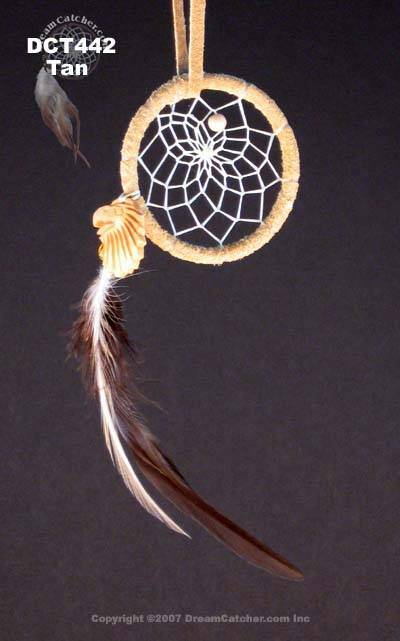 This small dream catcher has a 2 inch hoop webbed with sinew. A carved bone eagle head adorns the webbing and is accented by wooden bead. 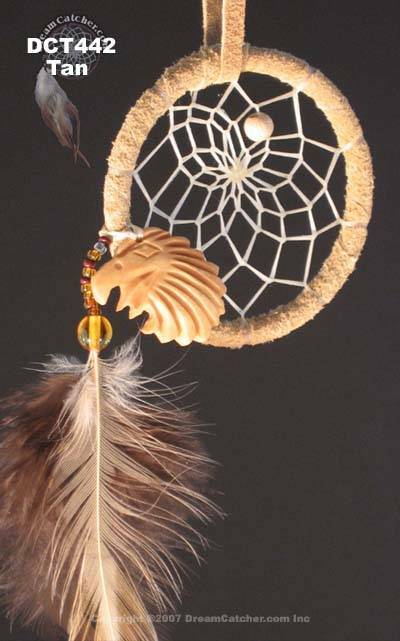 Glass beads accent the brown and beige hackle feathers that flow down to the dreamer.